The oceans are the live support system of our planet. They are an endless source of inspiration, hopes and dreams. They supply us with food, provide relaxation and adventure in our holidays and are a cheap way of transport. They keep our atmosphere in balance, absorb carbon dioxide, produce most of the oxygen we're breathing and regulate our planet's climate. It seems strange how unrestrained we keep on fishing the oceans to emptiness, dumping our waste and toxic substances and acidifying the water. This is interfering severely with ecosystem functions and the oceans can't provide vital services to us humans anymore. What we've learnt from the past is - when life in the ocean changes life on land will change. All ecosystems of our planet are inextricably linked. We're living in exciting times. People have always influenced their surroundings, even the vast oceans and even thousands of years ago. But worldwide and on a tremendous scale we've been destroying nature only since about half a century. It's up to our generation to stop and reverse this trend - now and in the years and decades to come. What's that got to do with Planet Ocean? "We will conserve only what we love, we will love only what we understand, and we will understand only what we are taught." Whether you attribute this quote to Konrad Lorenz or Baba Dioum - it's spot on. We have dedicated ourselves especially to the second part of this principle. The aim of Planet Ocean is to bring as many people as possible close to the sea and its inhabitants, through unforgettable sailing, scuba and free diving cruises, marine biology courses and surf trips and exciting lectures and online reports. 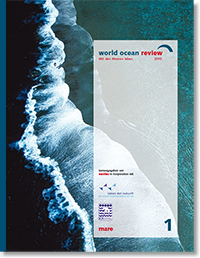 Planet Ocean is the latest project of Sonja Napetschnig und Tom Puchner. It is the logical continuation of our work over the past 15 years. At the Oceanschool in Pula and then at our own Biostation in Mali Lošinj (Croatia), we have enabled thousands of students and young people to discover, learn to love and to respect the sea. Planet Ocean ist the fulfillment of our dream to live and work at and for the sea. Come and dream with us. The heart of Planet Ocean is our 16 m Wharram Catamaran - the only (almost) self-sufficient, noisless Diving Vessel on the Planet. The past year our wonderful "Pakia tea" carried us halfway around the world! Read more about the journey in our blog. The other half - the Pacific Ocean! - lies ahead. We're looking forward to it and to the many nice people who will sail with us! To stay up do date please subscribe to our newsletter or visit our facebook page.